Feel free to contact us via e-mail: info@kkcuk.com, by telephone: 01253 804 111 or you can write to us 32a Market Street, Chorley, Lancashire, PR7 2RY. Consumers can have any inaccurate contact information corrected by contacting us. To contact us regarding your rights to your information, we can be contacted via e-mail: info@kkcuk.com, by telephone: 01253 804 111 or you can write to us 32a Market Street, Chorley, Lancashire, PR7 2RY. This website www.ropeaccess-uk.com does not store any personal data/information and any information supplied via a contact form is automatically sent to an independent secure mail server. In terms of data not related to the website, we adopt appropriate data collection, storage and processing practices and security measures to protect against unauthorised access, alteration, disclosure or destruction of your personal information, username, password, transaction information and data stored on our site. If you feel that this site is not following its stated information policy, you may contact us via e-mail: info@kkcuk.com, by telephone: 01253 804 111 or you can write to us 32a Market Street, Chorley, Lancashire, PR7 2RY. 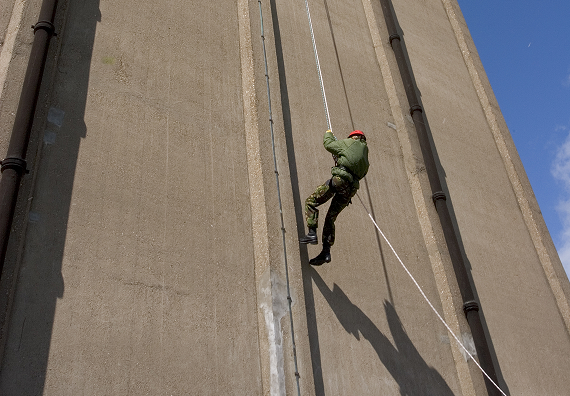 We provide training courses that provide more than just knowledge of industrial rope access. We work to the highest standards as set down by IRATA, our trade association, and offer technical, practical and safety training. Contact us for more information. We emphasise all safety aspects of working at height, and are tailor our team members to suit specific projects and applications. All our team members have their indvidual expertise and strength and our teams are assembled to suit each individual project. Our team solve access problems through the application of teamwork and each team member has considerable practical experience of working at height. Our expertise in, and knowledge of, the subject of access to difficult places is exemplary. 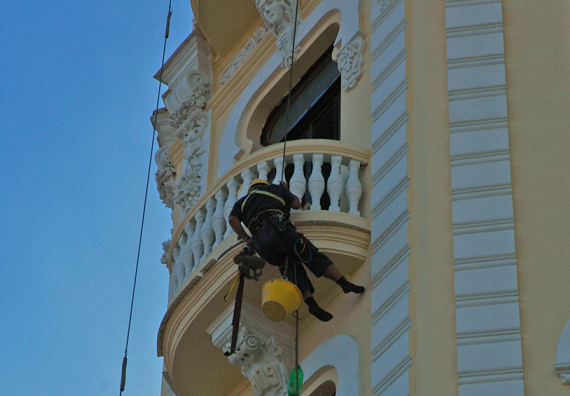 Our team members have years of experience in abseiling and cleaning. It takes years of practice and training to become a member of our team. 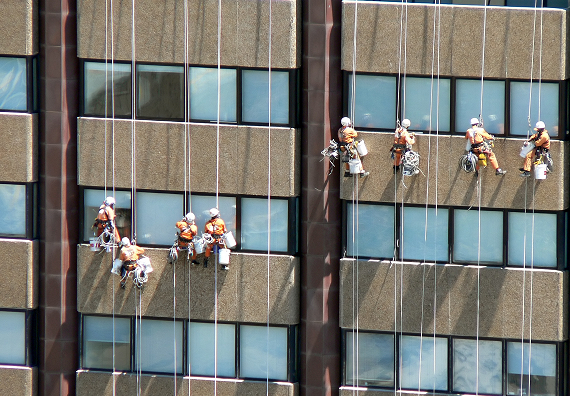 Each member is dedicated to providing the highest standard of cleaning and maintenance services.